This second album proofed that the band have quite improved since ‘Sahara’. Production is no longer a problem here. This album obviously has better sound quality than their previous album. 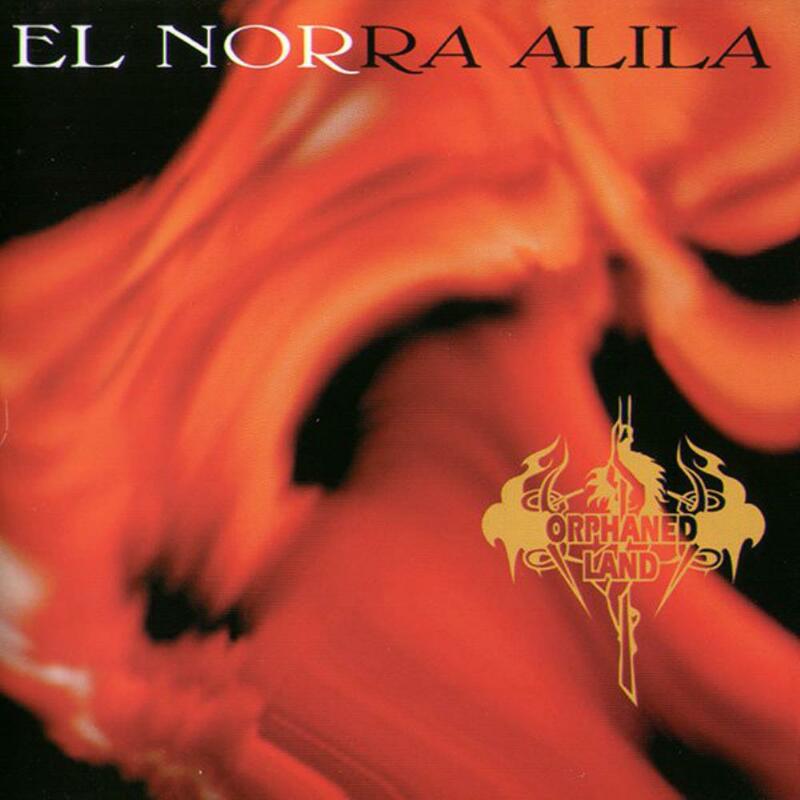 ‘El Norra Alila’ has more Arabic folk elements than their debut. You’ll hear more acoustic and folk parts here. The tracks are shorter though, and there’re some filler tracks too. ‘Find Yourself Discover God‘opens the album with some nice flute work. Then the vocal comes followed by some heavy riffs and drumming in relatively fast tempo. Throughout the song, the tempo slower down and you’ll hear some nice clean acoustic part in the end. ‘Like Fire to Water‘has some percussion in the beginning, this song has a dark atmosphere, probably because of the growling and the guitar riffs. ‘The Truth Within’ continues the dark atmosphere with some haunting growling and vocals as well as the heavy riffs. ‘The Path Ahead’ still continuing the atmosphere from the previous two tracks. This song has some quite nice heavy guitar melody and some folk-metal blend in some parts. ‘A Neverending Way’ continues the previous track with some clean vocals and some folk tunes. The song goes heavier then, with some haunting vocals. These tracks (except ‘A Neverending Way’) sound a bit similar each other, and rather, feel like they’re just a single track. ‘Takasim‘is a short soft track. This song is just likely serves as an opening to the next track. ‘Thee by the Father I Pray’ starts with a choir-like vocal and has a guitar solo and some nice folk-metal melody near the end. ‘Flawless Believe’ starts with some bass lines and then followed by some heavy riffs and drum beats. This is an interesting track with some heavy guitar melody, some tempo-shifting and some folk tunes in a few parts. All of the sudden, the noises stops abruptly, and you’ll hear some percussion with some acoustic folk tunes in ‘Joy’. It goes for a few seconds and then ‘Whisper My Name When You Dream’ starts with some heavy riffs and growling. All these transitions are a quite weird in my opinion. This song has some nice part of male and female vocals combination in the middle with some keyboard works. ‘Shir Hama’Alot’ is a bit similar to ‘Takasim’, only this one is longer and has some vocals and acoustic guitar on it. ‘El Meod Na’Ala’ is a quite nice short track with both metal and folk atmosphere on it and a medium tempo. This song has a nice acoustic part too in the middle. Suddenly ‘Of Temptation Born’ starts with some heavy riffs and fast drumming, make an abrupt transition between the songs. ‘Shir Hashirim’ is a shot track that sounds like there’re a lot of people praying in a Mosque. ‘The Evil Urge’ starts nicely with some guitar acoustic. It then changes into a haunting track with some narrative-like heavy voice, some violin sounds and ambience-like guitar riffs at the end, quite a nice way to end the album. Overall, this album is easily better than ‘Sahara’, there’re some quite good songs here, though some songs sound a bit similar with others, and there’re a few tracks that didn’t work quite well with the others. I still have a little problem with the clean vocals sometimes though. They still sound plain in some parts, but some of them worked well with the songs. This album already showed a good sign from the band, and I think they would do better next time. Three stars.